Those of us with pets know that choosing the right vacuum is important for keeping up with pet hair, kibble crumbs, and litter spills. But with a multitude of vacuums on the market, how do you know which one to choose? After cross-comparing several major review websites featuring the top-rated vacuums, we’ve pulled together four of the best vacuums for homes with pets. This highly-rated bagless vacuum cleaner claims to have the strongest suction of any other upright vacuum and is designed with a swiveling head that makes it easy to maneuver around furniture. The Dyson Ball Animal 2 comes with a 35-foot cord and its dirt cup holds .55 gallons. 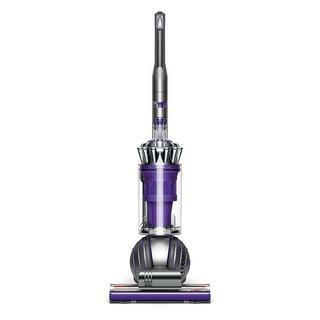 This vacuum works across all floor types and carpet piles with a cleaner head that automatically adjusts to different pile heights. It comes equipped with a washable filter, so in addition to not needing bags, you won’t ever have to buy replacement filters either. 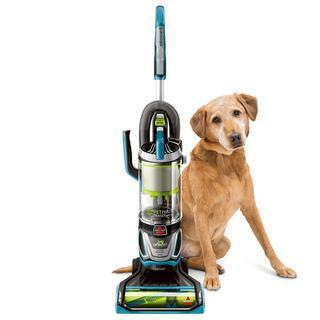 Shark designed this vacuum with pets in mind. It features a 30-foot cord and enhanced swivel steering, plus the canister is removable to help you clean hard-to-reach nooks and crannies. This bagless vacuum boasts a completely sealed system with a HEPA filter designed to trap over 99.99% of dust and allergens inside the vacuum. With one of the largest dirt cups, it holds over 105 ounces, so you can vacuum more with less frequent emptying. Reviewers appreciate the performance of this vacuum on stairs. With a dedicated pet foundation and an entire line of pet cleaning products, it’s easy to trust that Bissell has our pets’ best interests in mind. Engineered specifically for homes with pets, this upright vacuum has a detachable, portable canister to help you clean stairs, upholstery and other spots an upright vacuum can’t reach. The cleaner head was designed with a tangle-free brush roll so that hair doesn’t collect in the bristles. It’s equipped with a 30-foot cord and a dirt cup that holds 1 liter. To help you better see what you’re cleaning, the crevice tool and cleaner head come equipped with LED lights. 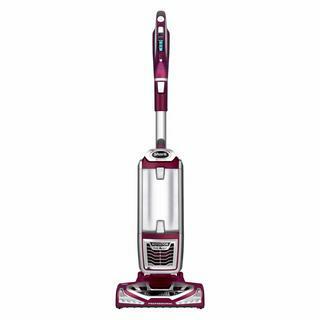 This powerful vacuum features true HEPA filtration, and though it is slightly heavier than other vacuums, it is also on the quieter side. The roller brush automatically adjusts to different carpet piles and the machine has alerts to let you know when to change the filter and bag. Because it is a bagged vacuum (each bag holds 6 liters, by the way! ), you don’t need to worry about dust plumes or spills that can occur when emptying a bagless vacuum. The Miele comes with a 39-foot cord and an LED headlight to see where you’re vacuuming.